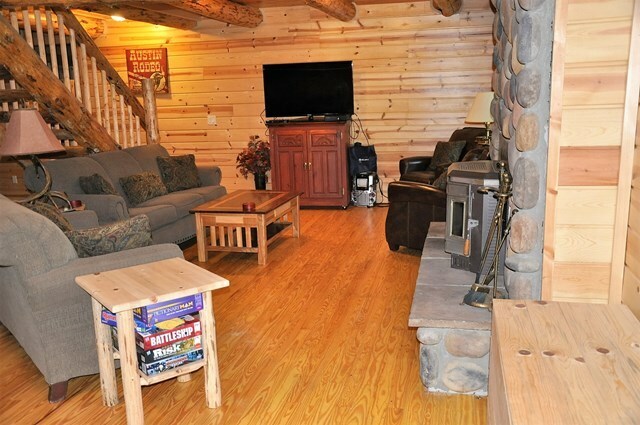 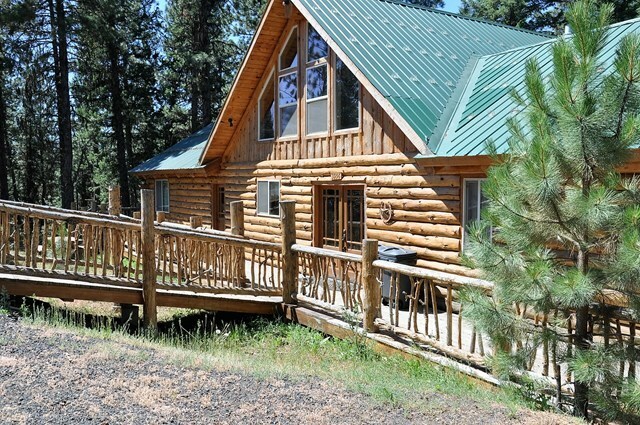 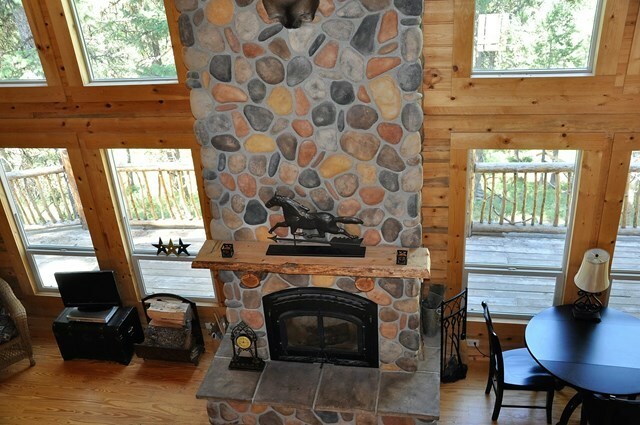 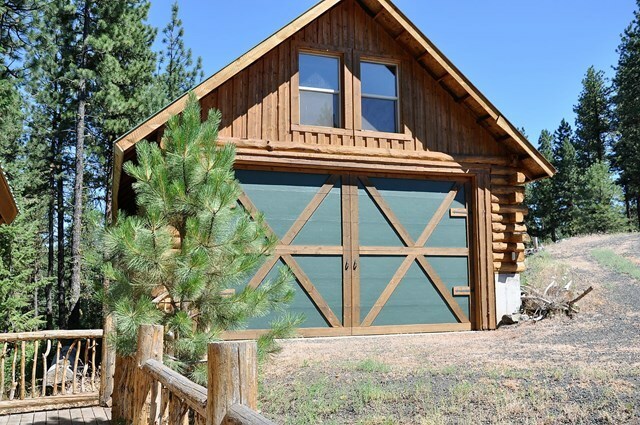 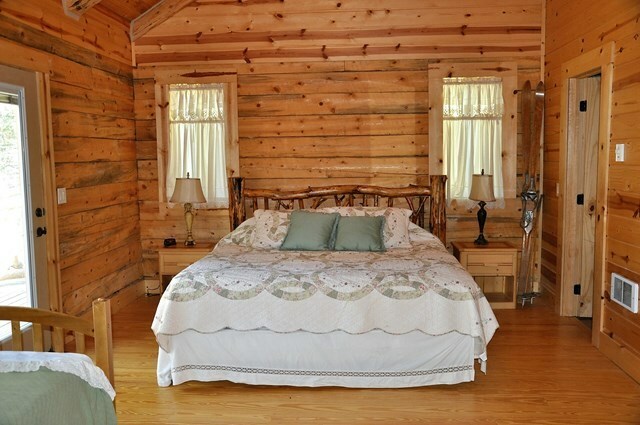 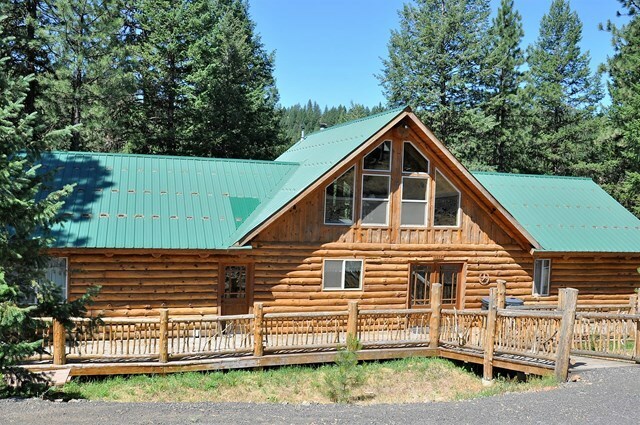 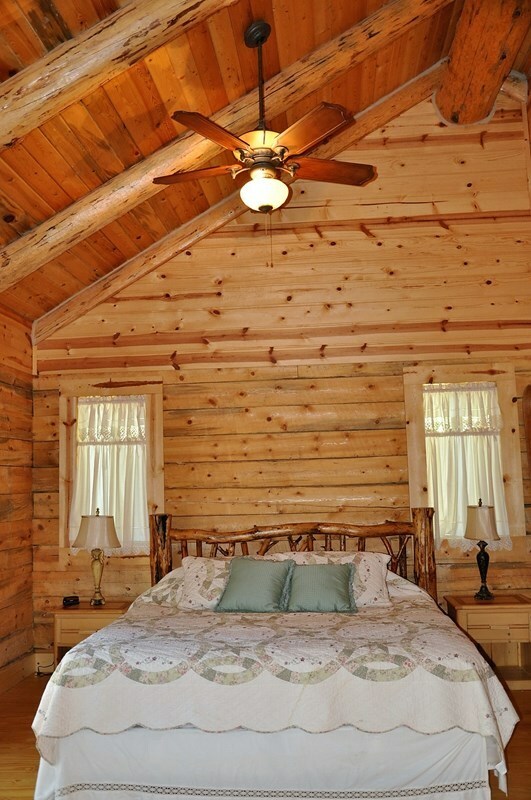 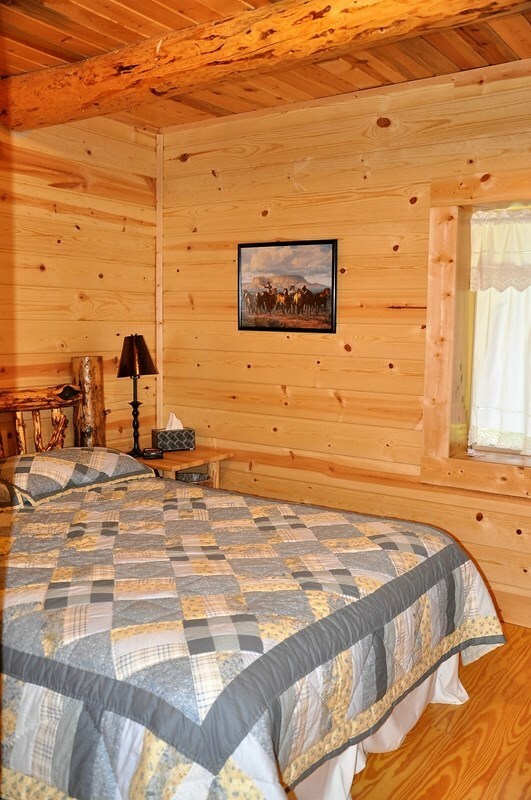 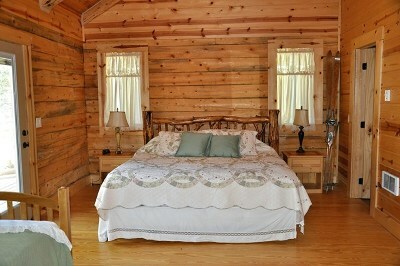 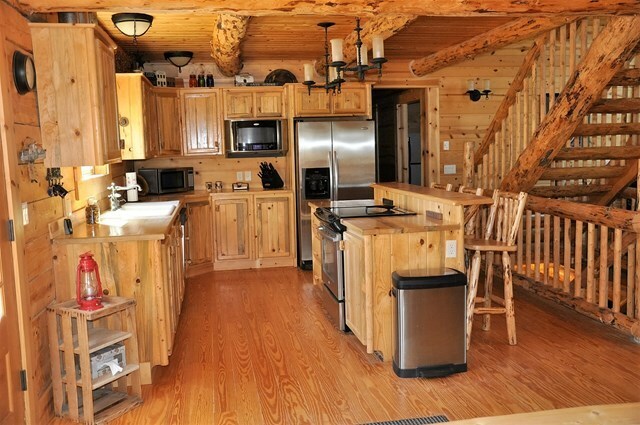 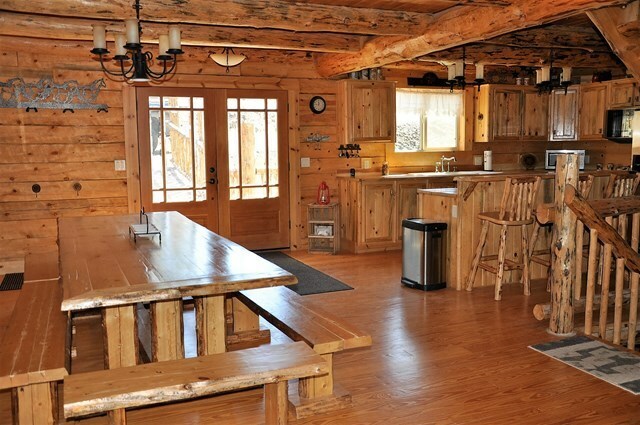 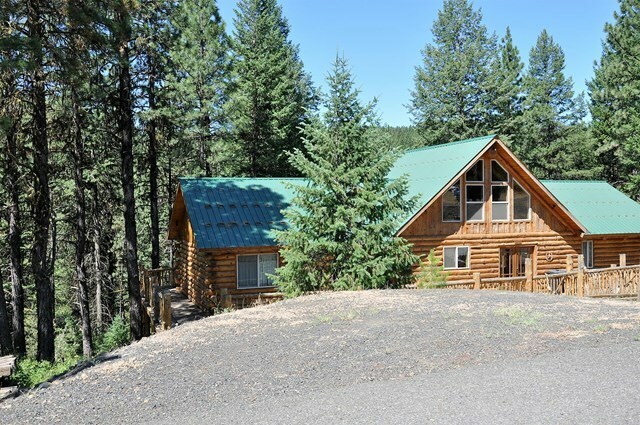 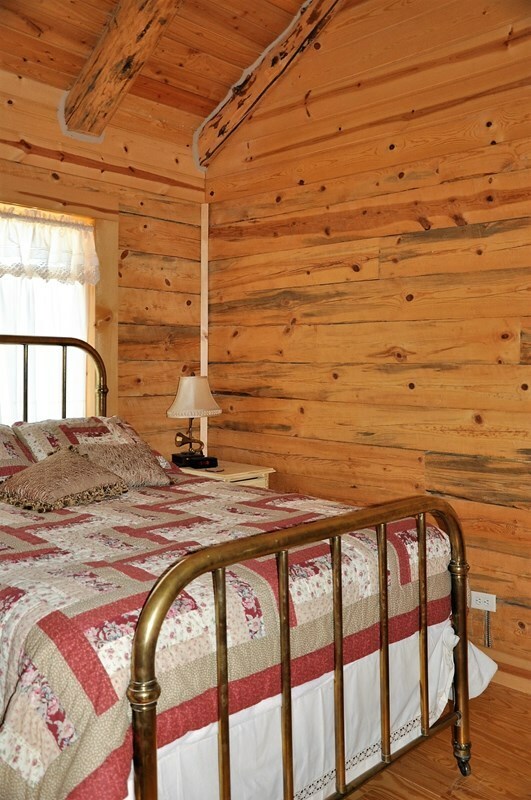 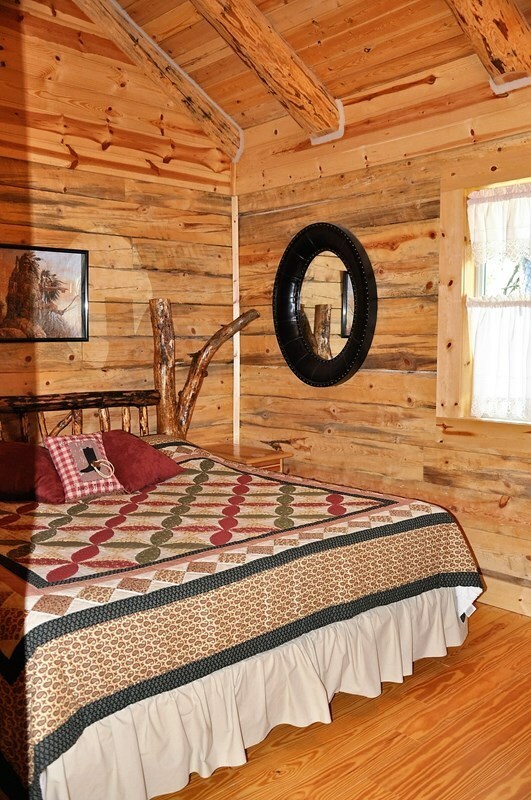 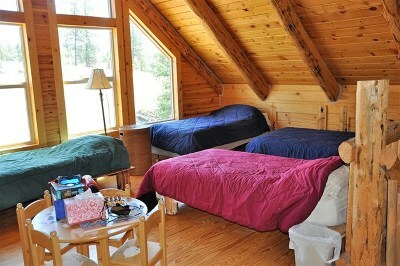 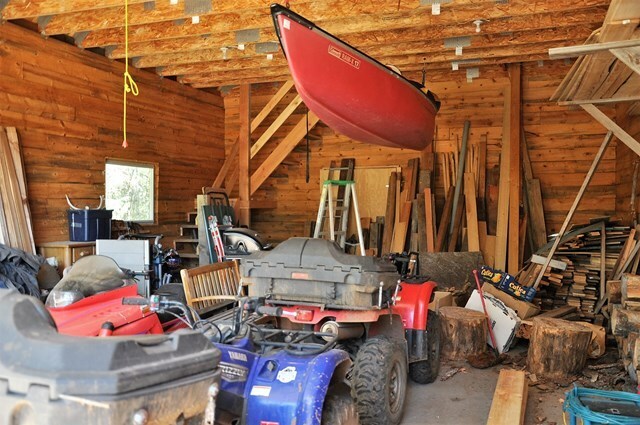 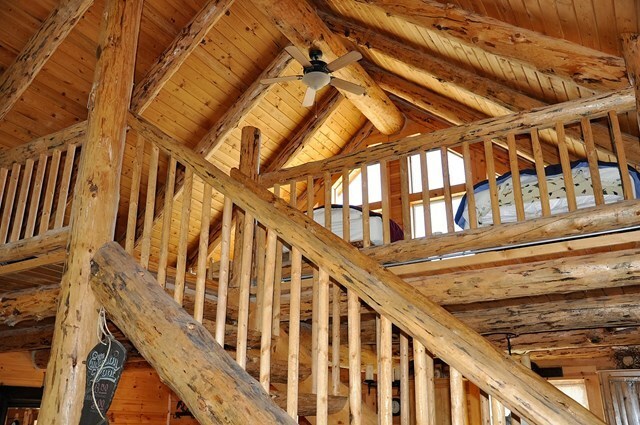 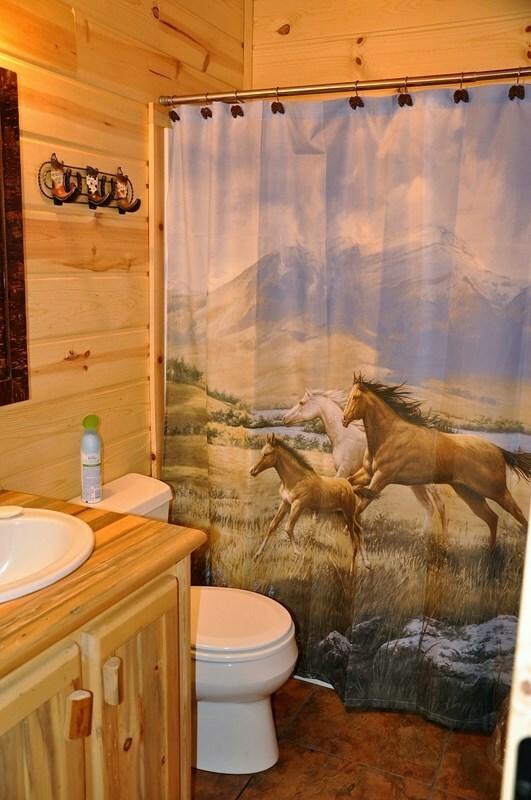 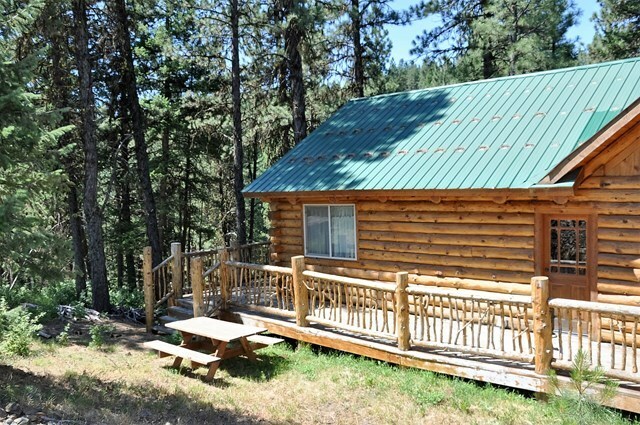 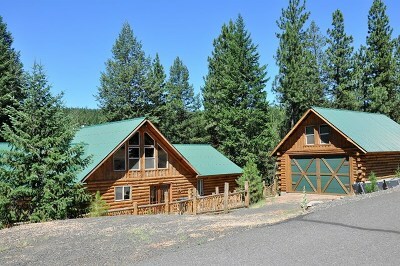 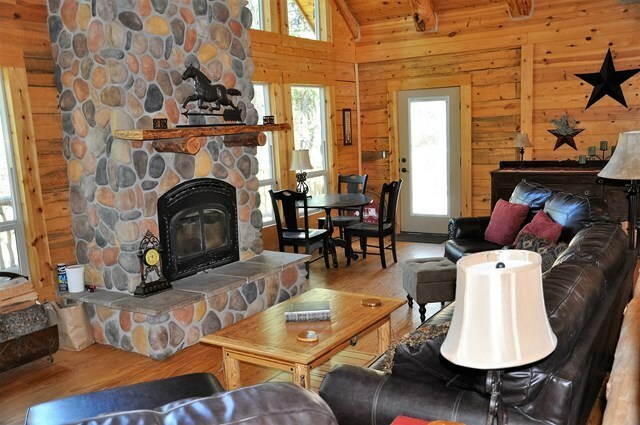 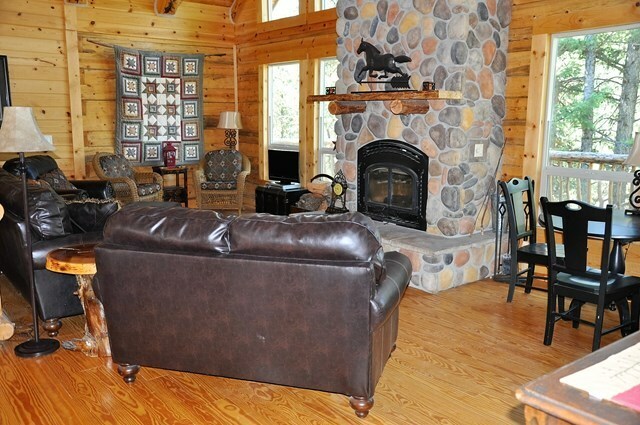 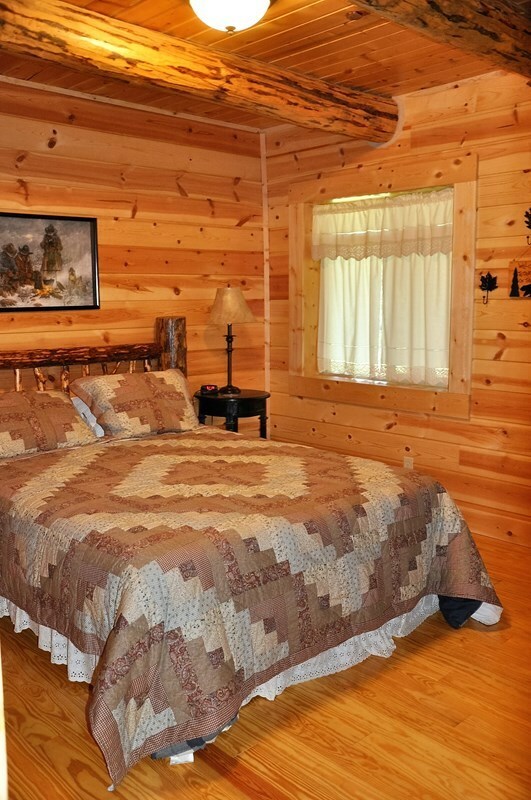 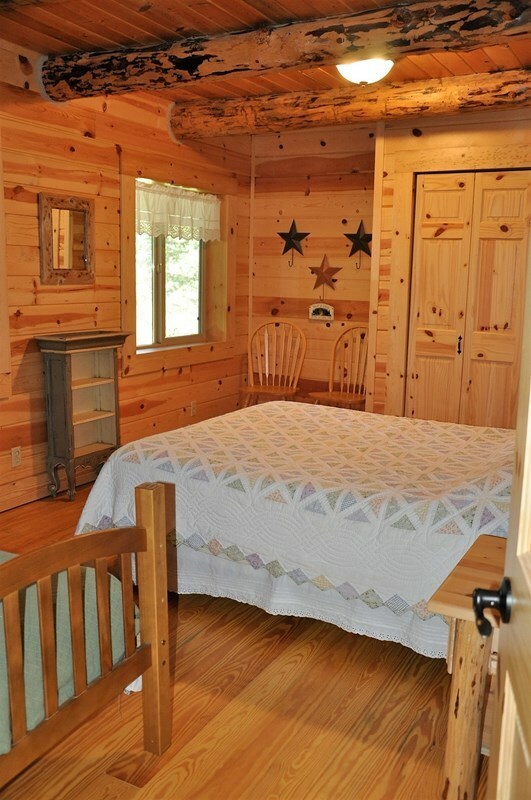 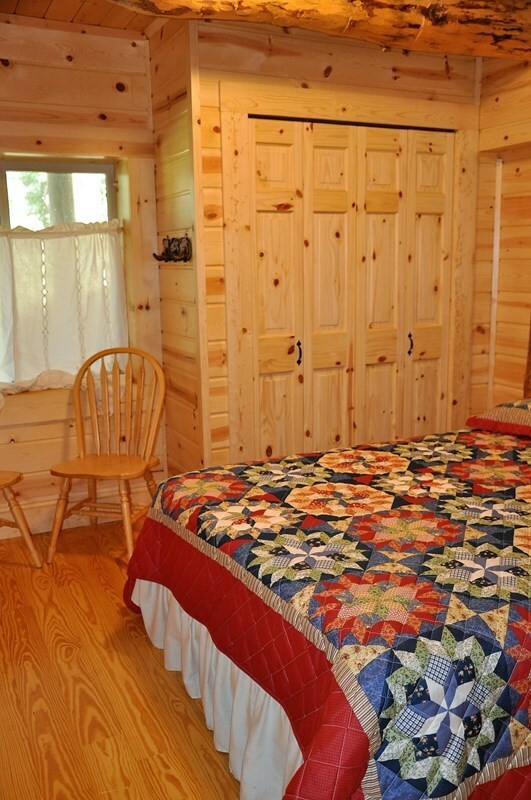 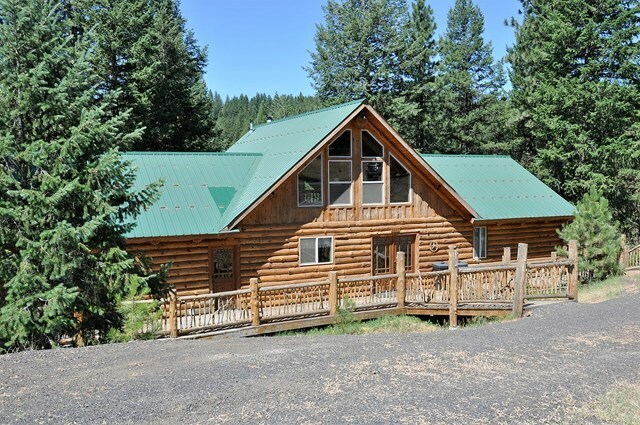 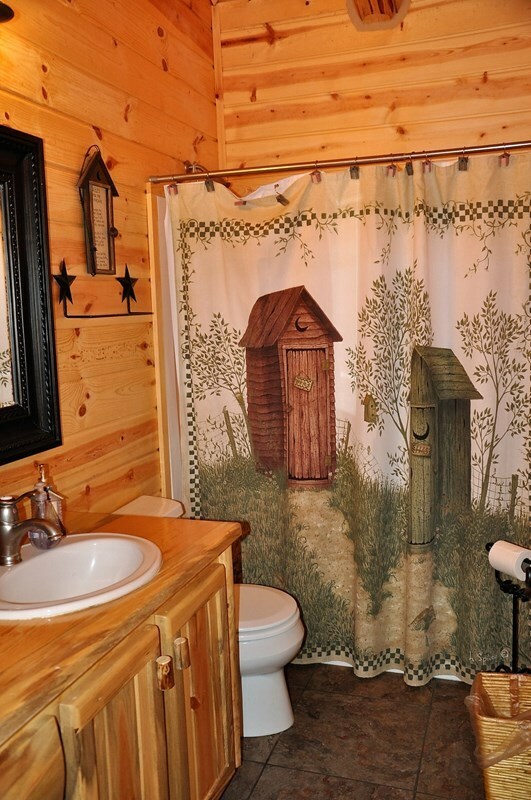 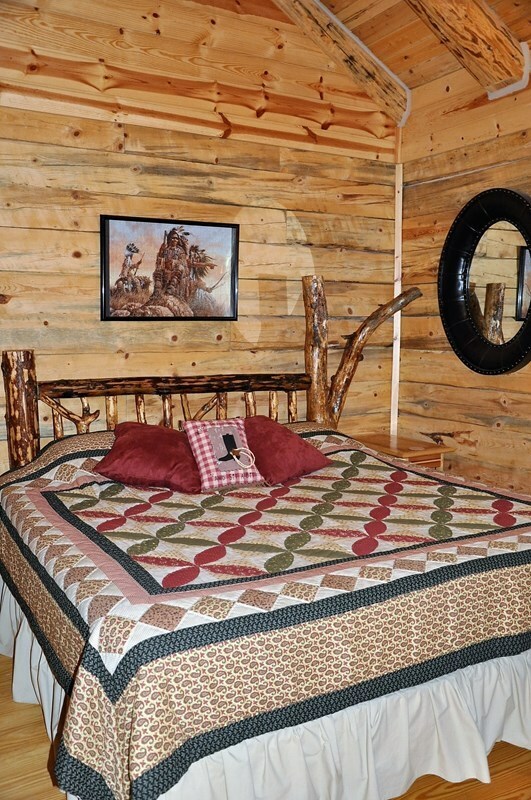 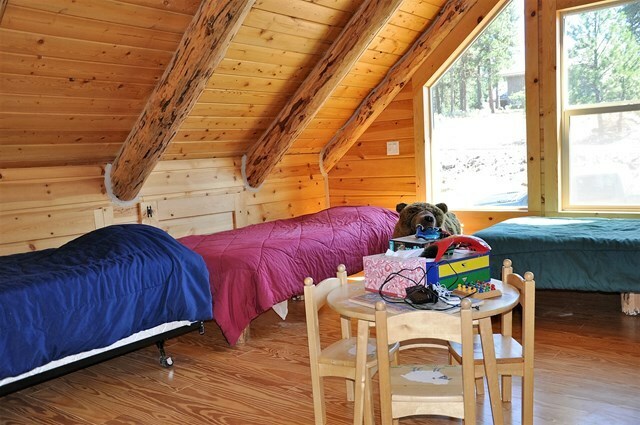 Beautiful log home perfect for a large family or two families to share. 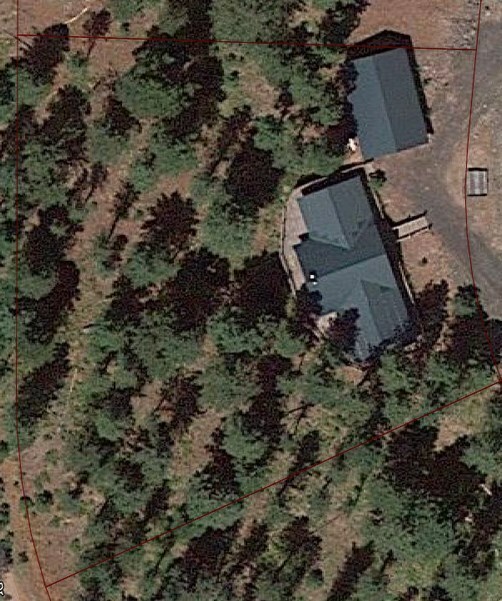 There are seven bedrooms & four baths on two floors & a loft that is set up to sleep another five people. The gorgeous log interior and river rock fireplace are complimented by heart pine flooring - a wall of windows offers views of the woods that are peaceful and quiet. 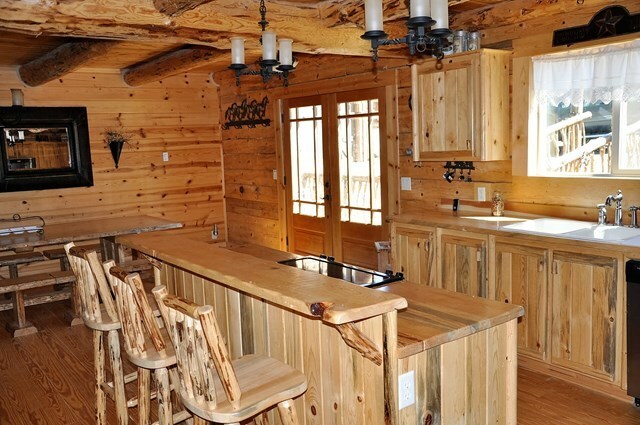 The kitchen features stainless steel appliances and live edge blue stain pine countertops. 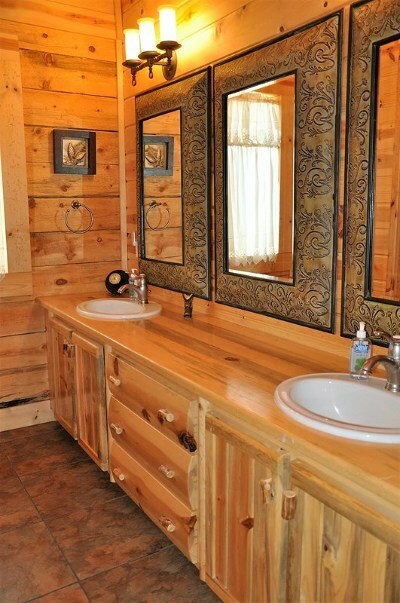 The master bath has a double sink vanity. 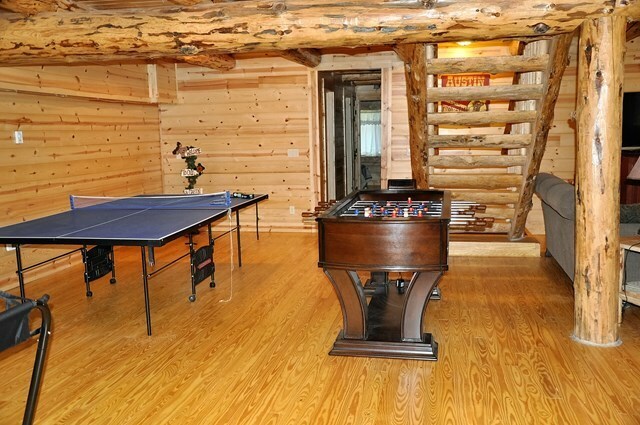 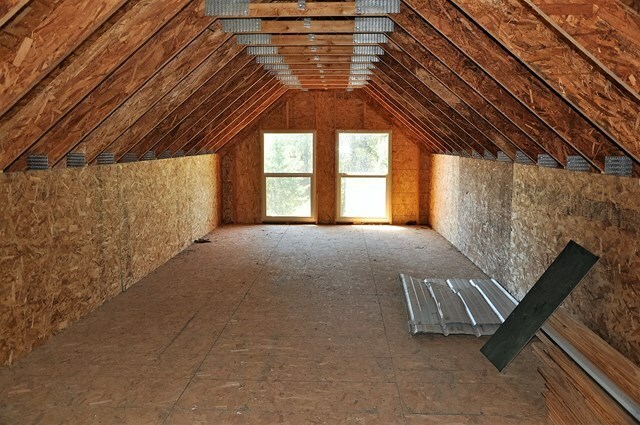 A second living space downstairs is set up as a game room with foosball and ping pong tables The large two car garage has room for lots of toys and also has an unfinished bonus room above it. 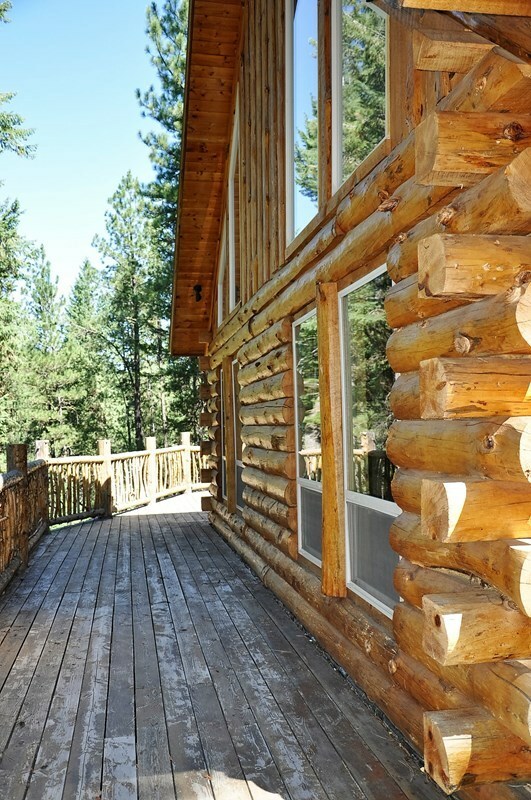 Decks all around are the ideal place for entertaining outdoors in the summer. 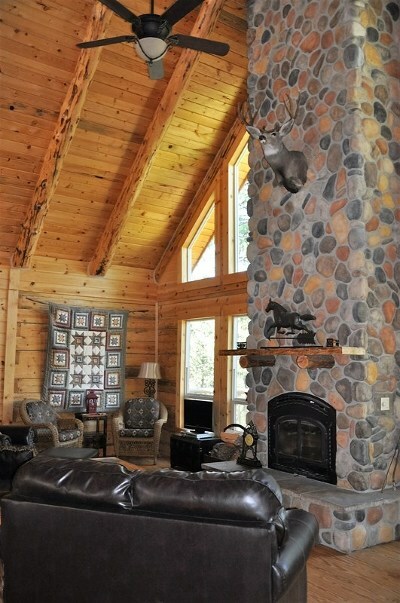 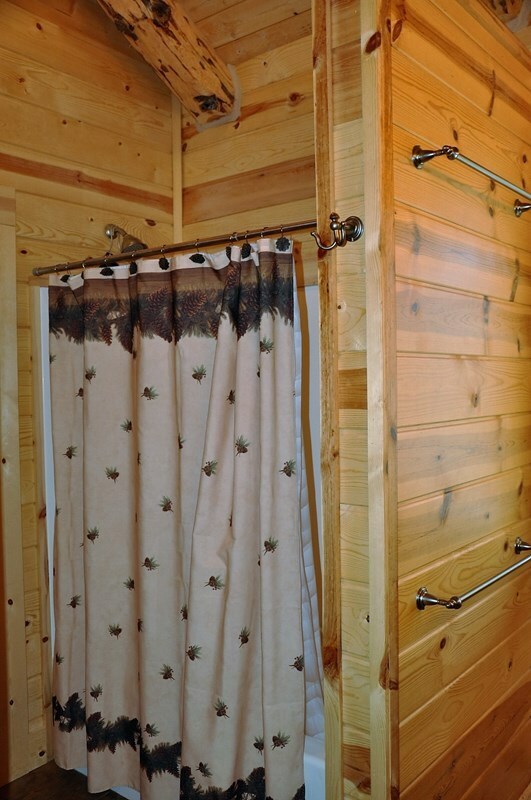 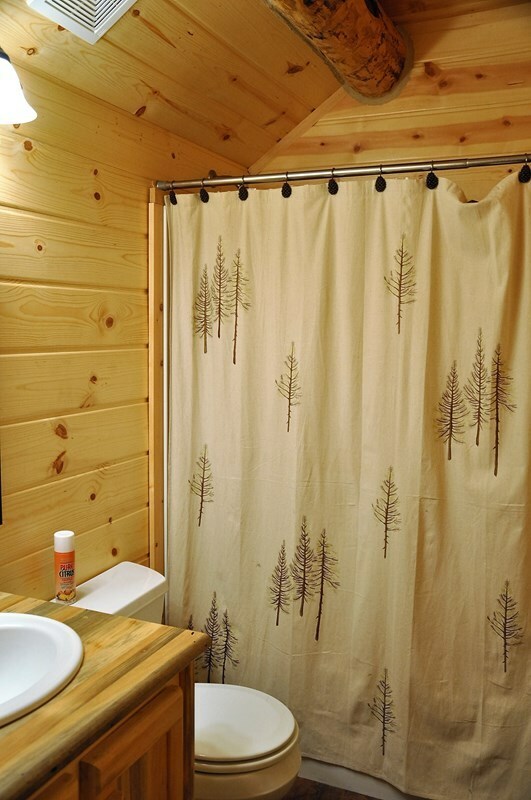 This is the perfect log cabin in the woods!